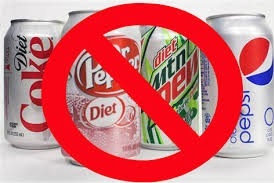 Not a surprise that diet soda is NOT the way to go! 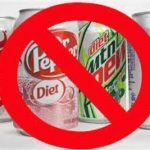 With all the challenges facing post menopausal women, why further stress the body by drinking diet soda. When is comes to diet, we understand no one is perfect. We are fortunate to have a built in safety net called the liver. The liver’s job is to clean up and dispose of toxins that accumulate in the body. For this amazing organ to continue to work, it needs certain nutrients and a reasonable work load. In order to not overwork your liver, be kind… eat those “non-perfect” foods in moderation to minimize exposure to toxins and chemicals. The best security blanket is to keep the liver healthy to do its job to clean up our body. Our Liver Support Formula can provide the essential nutrients to help! We also encourage a Spring and Fall clean up with our 6-day Detox Kit. The body is an amazing thing and will continue to look after you if you look after it! It’s summertime! And the sun is shining… so you think you are getting enough Vitamin D? Well the truth is, that even in sunny Florida, most people do not get enough Vitamin D from the sun and need to supplement. And… a new study (article below) shows that you can alter breast cancer risk if you can get your blood levels up to 60 ng/mL. So get your Vitamin D Now! The right kind (D3), the right supplement! Get access to great, professional, quality supplements by emailing me at info@healthrenewmd.com or you may call me (Jacqueline Crighton – 772-708-3217) to get our client access code to get your own online access to hundred’s of fantastic supplements right from your computer.